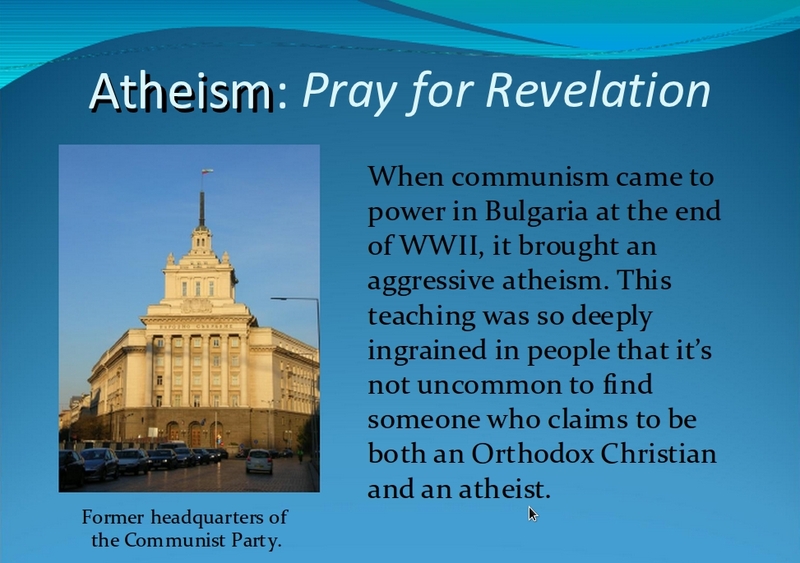 This particular slide describes a deeply spiritual issue facing Bulgaria... atheism. We as a team have decided to go through all 38 prayer topics together, taking one a day. 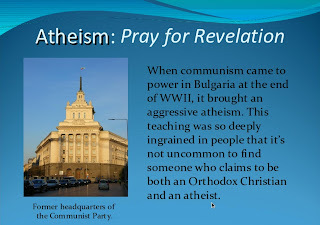 We began on Thursday with the first slide and plan to continue through the entire series. Rather than ending there, though, we are going to follow up by adding specific prayer topics every day that relate to the individual churches, ministries, and people we are connected to. We are going to pray specifically and daily for Bulgaria right up to our departure and we hope you'll consider joining us. Visit the Virtual Prayer Walk and start today! We Got Our Tickets Today!